THE KHOROSSAN RUG - Reds, blues, greens, and even rare purples all show up in softy burnished harmony of Khorossans Rugs. The Khorossan province comprises the entire northeastern chunk of Iran, an area one might call the nation’s cartographic horn. It is the country’s largest province, and as such encompasses a wide diversity of people, landscapes, and art. Thus the term, Khorossan (a Persian word translated roughly to “where the sun arrives”), is a necessarily broad one. Complicating matters further, among the many rug-making villages of Khorossan, some are famous in their own right as unique Iranian carpet-making centers. 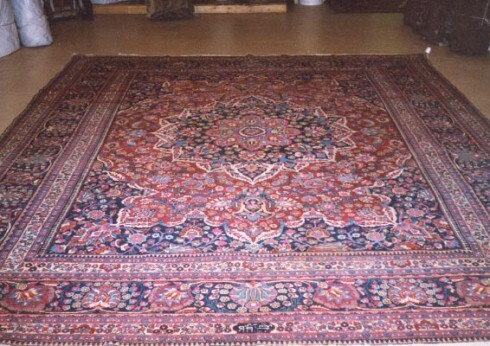 In such cases, village names such as Doroksh and Mashad are used to sub-categorize rugs with the regional Khorossan designation. Still, amidst this diversity, we can find clear aesthetic and material trends that bind the historic textiles of Khorossan as a whole. 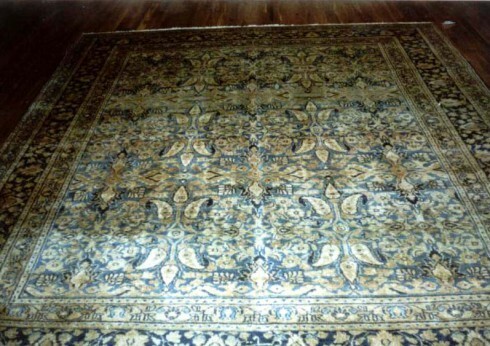 Among these are the native wool, dyes, and utilitarian construction methods that have made Khorossan rugs famous for both elegance and durability. The Khorossan region has an exceptionally long rug-making history. It has been known for centuries, its origins in the late middle ages, when local weavers began producing some of the first Persian rugs ever traded from Persia to Europe. These original medieval pieces belong to a somewhat tangential aesthetic history, though later Khorossan weavers clearly drew on the experience and tradition developed in this earlier medieval period to create their region’s most famous rugs: the elegant, room-sized carpets made explicitly for the 19th and early 20th century international market. Assimilation is key to understanding the array of intricate patterns for which these exemplary rugs are known. For hundreds of years, Khorossan has served as a melting pot of cultures and ethnicities, the traditions of which have all found their way into local weaving tradition. 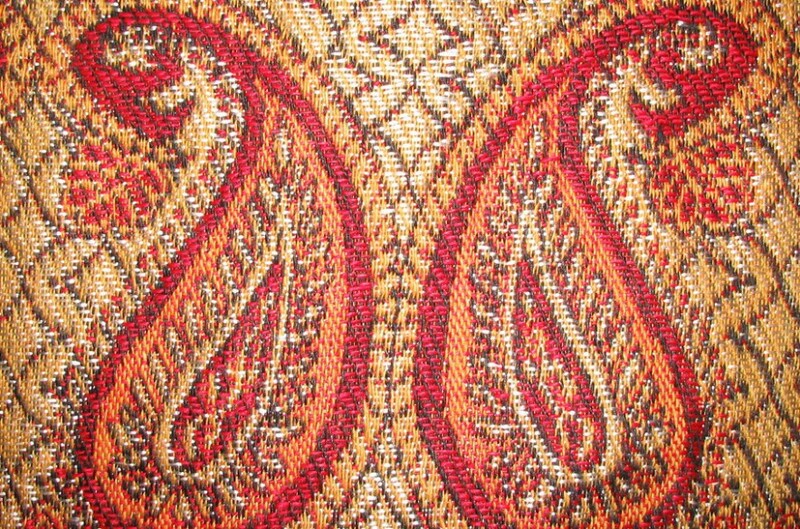 Many carpets synthesize Arabian, Kurdish, and Turkish design into single motifs, creating new patterns that are unique to the Khorossan region itself. Among these patterns, and rare among Persian carpets in general, many Khorossan rugs incorporate figurative art: birds, animals, and even humans feature prominently in many designs. The exemplary Tree of Life and hunting rugs stand out among these rarities. 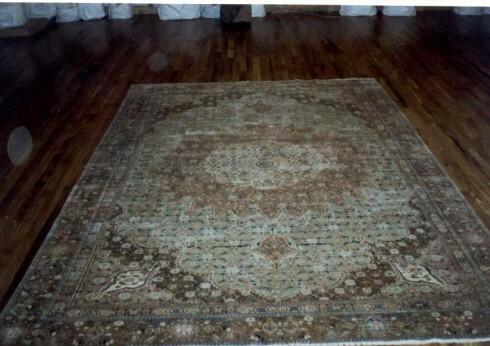 The rugs are also known for the outstanding high aesthetic quality of the region’s native materials. The province is an agriculturally rich one, known in particular for producing an extremely high quality, soft, lustrous wool. It is this wool, a base for natural dyes, which creates the region’s famous colors: vivid reds, blues, greens, and even rare purples all show up in softy burnished harmony in many antique Khorossans. To glimpse the root of the elegance for which these rugs are known, one need not look further than Mashad, Khorossan’s historic and stunningly beautiful capital. It was once a major stopping point on the silk road, an astonishing oasis, and to this day the art and architecture of the storied place--particularly its stunning 15th century Goharshad Mosque--survive. It stands as testament to the region's history as a cultural center of ancient Persia, and today is home to many contemporary Iranian literary figures, artists, and rug-makers that have been looking to its example for centuries.